Honda of Downtown Chicago is proud to discuss our new ownership. Formerly known as Fletcher Jones Honda, we aim to continue the success seen under their ownership and take the store to even greater heights under the Brickell Motor Group as Honda of Downtown Chicago. As Honda of Downtown Chicago, we ensure that all past Fletcher Jones contracts will be honored and carried out in full. We are excited to get to know all those who made Fletcher Jones Honda such a success as we continue expanidng our reach and get to know even more of those who make Chicago a great city. Our desire to provide the best car buying experience possible will not waiver as we plan on bringing our previous success to the city of Chicago. 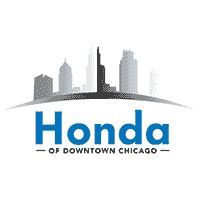 With customer service designed to make your vehicle shopping easy and enjoyable, Honda of Downtown Chicago will be the dealership to go to for all of your vehicle needs.